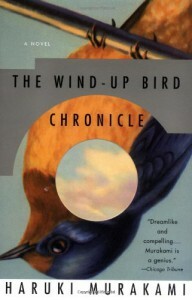 "The Wind-Up Bird Chronicle" is the first book I have read by Haruki Murakami. Before I wrote this I went through my list of books to see if I have read anything like "The Wind-Up Bird Chronicle". I am not sure exactly what is the plot of the book. A man trying to get his fallen wife back is way too simple. Good versus evil is not accurate. Mystical does not do Mr. Murakami's imagination justice. The book is a journey. A dream like journey; beautifully written, with characters who come and go and tell Mr. Okada (our protagonist) their stories. And, as mentioned above, Mr. Okada's journey. To get his Kumiko back. Let me repeat 'beautifully written'. Mr. Murakimi created many images that will be with me a long, long time. 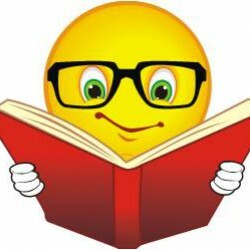 If you have not read any Murakami before then any description of what goes on would probably turn you away from reading "The Wind-Up Bird Chronicle". And I certainly don't want to do that. If you have read Murakami before then you know what I'm talking about. Sometimes it is best to first jump in the deep end of the pool. That was how this book made me feel.